The glory years of motion pictures were the 1930’s. I grew up in the 50s when television was making inroads into the sales of movie tickets. To counter this new form of entertainment, movie studios brought both challenging concepts and escapism to even the most remote corner of America. We got to see some of the greatest movies ever made on the big screen, such as On the Waterfront, North by Northwest, I’ll Cry Tomorrow, Stalag 17 and From Here to Eternity in some of the most outstanding movie houses ever built. 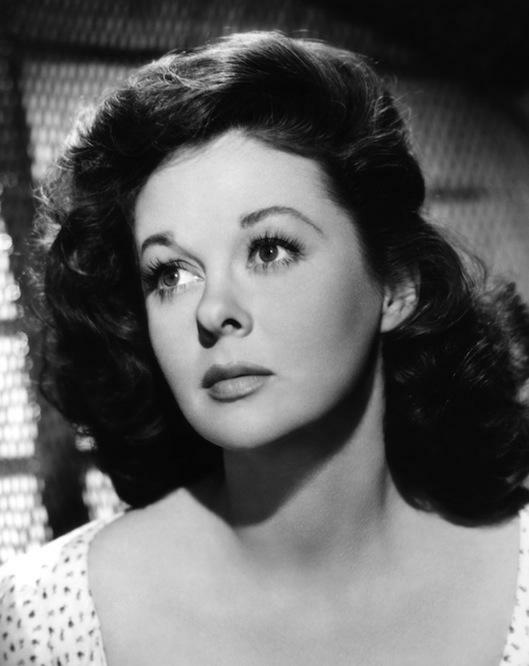 It was a truly wonderful experience to take a date to a movie, where we saw beautiful men and women larger than life, such as Susan Hayward, Cary Grant, Marilyn Monroe, Marlon Brando, Audrey Hepburn and many more. To win back audiences from TV, the movie industry promoted color by Technicolor, better sound, big screens and the emotional power of the theater experience, even to the point of inventing new formats like Cinerama, and Cinemascope. The 2.66:1wide screen formats demanded spectacular stories like The Ten Commandments, The Robe, and Ben-Hur that were all top money making films of the 50s. Starting in the 60s and continuing today, the grand movie theater has faded into a stark lobby filled with food offerings and game rooms. The majestic theaters of the past have been replaced by multiplexes. The multiplex of today is a movie theater complex with multiple screens, typically six, ten, or more screens. They are usually housed in a specially designed building. 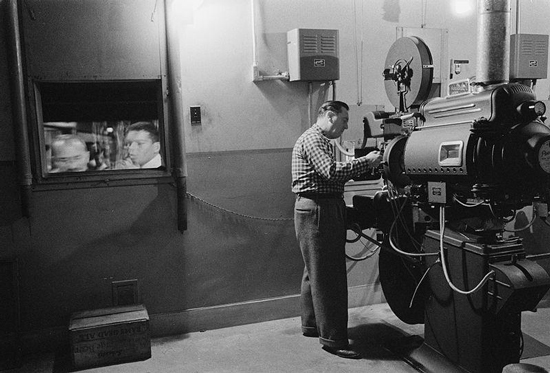 Until recently, movies were sent to the theaters on film (mostly 35 mm). The film was loaded onto a film projector and projected onto the movie screen. This was an expensive proposition; plus after multiple viewings the film images would start to deteriorate. Most movie theaters are now equipped for digital projection, removing the need to transport a physical film print. Digital cinema is now coming into favor by the studios, which uses digital technology as opposed to the historical use of film. A movie can be distributed via hard drives, the Internet, dedicated satellite links or optical disks such as DVDs and Blu-ray Discs, which are projected using a digital projector instead of the conventional film projector. Digital cinema is distinct from hi-def TV and television standards, aspect ratios, or frame rates. In digital cinema, resolutions are represented by the horizontal pixel count, usually 2K (2048×1080) or 4K (4096×2160). Only four manufacturers make DCI approved digital cinema projectors; these are Barco, Christie, NEC and Sony. Except for Sony, who uses its own SXRD (LCOS) technology, all use DLP technology. When comparing a film presentation to a digital cinema presentation, the digital cinema presentation was equal in picture quality and more stable than film. Digital presentations do not get scratched, fade, or break. The quality of digital cinema is as good months down the road as it was on day one. So, do you pay $8.00 a ticket to see a movie in a multiplex or do you set-up a home theater experience? Since modern society has become a rude society, the movie experience can be unpleasant at times. The three major problems in movie theaters today are cell phones, babies and talking during the movie. These distractions can be easily handled at home, whereas you have no control of them in a theater. Why watch a movie at home? First, there are no bad seats in the house. You sit where you want. A “come as you are” policy makes movie watching more comfortable. You don’t have to worry about a cell phone going off during a movie at home. You can turn it off, or if you panic without your phone, you can decide whether to not answer it or, answer it and place the movie on pause. If you watch a movie with others, you can choose family or friends, who don’t supply a running commentary throughout the film. Forget the five dollar popcorn. Orville Redenbacker is in the cabinet ready to be popped, and the frig is full of soda and beer. And you don’t have to have your wife fill her purse with candy; the bowl in the kitchen is full. All you have to do is crank up the sound. For people who want to spend the money to reproduce the viewing experience of a commercial movie theater, and want to enjoy the high quality film experience, they should consider a “home theater projector.” Home theater projectors are designed to be viewed in the dark. This is in contrast to a “home video projector.” A home video projector is for those who want the thrill of a large screen picture in the living room or family room, but don’t want to make the room totally dark. A home video projector is designed to project more light so that the picture looks bright in an ambient light situation. 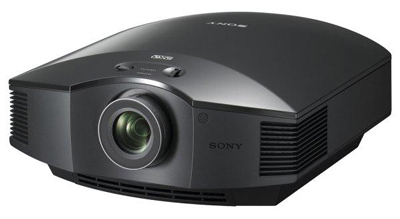 A home theater projector is usually 1080p/24 and HDMI compatible, while optimizing the contrast ratio and black level. The color and gamma calibrations should be wide-ranging. As noise is another consideration, the projector should run quiet. Most importantly, the projector should be designed for projection in a dark room. Today, home theater projectors are at an all-time low price, with great features and exceptional image quality, making this is an ideal time to setup that home theater. Start with a basic dark room. Then, review the available home theater projectors. Although some home theater projectors run over $10,000, there are a number of very good models available at a reasonable price. Check out the Epson 3020e (LCD) with a 40,000:1 contrast ratio and 1920 x 1080 resolution, or the Optoma HD8300 (DLP) with a 30,000:1 contrast and 1920 x 1080 resolution. The Sony VPL-HW30ES (LCOS) is my favorite with a 70,000:1 contrast and 1980 x 1080 resolution. I also like that the vertical lens shift can move the image by roughly 65% of the screen height up or down from the midpoint, and the horizontal shift can move it by about 25% left or right, making it easy to setup. 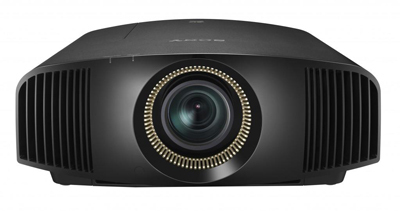 At CEDIA 2013, Sony announced two 4K model projectors, the VPL-VW1100ES and VPL-VW600ES. The 4K resolution standard is just beginning to reach the consumer market, producing perfectly sharp movies at home. A 4K image has at least four pixels for every pixel in an HD image, allowing for video that's 4,096 pixels wide versus only 1,920 pixels wide in HD. With more and smaller pixels, images will retain their quality both at large screen sizes and at close distances. The VPL-VW600ES home theater projector offers full Digital Cinema Initiative (DCI) based (4096 x 2160) resolution, delivering a cinematic 4K experience. The VPL-VW600ES projector has 1,700 lumens of brightness and a 200,000:1 contrast ratio. The projector has gorgeous color reproduction thanks to its TRILUMINOS™ display and its auto-calibration and manual color correction features allow installers to adjust the hue, saturation and brightness to obtain a customized picture. 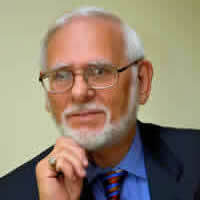 It supports 4K native resolution at 60 frames per second, which improves the viewers’ experience. The projector is only part of the story. Make sure your screen is designed for the feel of a movie theater, and focused solely on the viewing experience. The room may be equipped with theater seating, a popcorn machine, even a marquee, and usually there are no windows, so the room is dark. The screen is generally in a fixed in position. For a great home theater experience, the Draper Onyx is an excellent choice. Uniform tension is applied to the entire screen area, so that the surface is perfectly flat. A unique fabric retention system enables the surface tension to be adjusted in seconds. Permanent wall mounting brackets are included for quick installation. Draper will assist in selecting the right size and screen fabric to optimize your viewing experience. Finally, standard movie theaters have several speakers positioned throughout the room so that you are immersed in the sound. Three speakers are placed near the movie screen, one in the center and one on either side, with more speakers placed around the remainder of the room, including in each corner and behind the audience. This lets you hear parts of the soundtrack coming from different areas of the room. For example, when a race car speeds across the screen, you will hear it starting on one side of the room and moving through to the other side, the way you would naturally hear it if you were watching a race in real life..
THX is the sound technology used by filmmakers to bring superlative quality sound to movie theater sound systems. The finest home theater speaker manufacturers make THX certified speakers, which are 100 percent compatible with your DVDs and Blu-ray movies; so that the sound is heard the same way you would encounter it in the movie theater. The best system for the home theater experience is 7.1 surround sound, which uses eight channels of audio to envelop you in a bubble of sound. The left, right and center speakers cover the front, while four extra surround speakers are positioned to the sides and rear of the room, while the eighth channel is solely dedicated to the bass from the subwoofer. Check out the Samsung HT F9750W 7.1 system with just five speakers, which is packed with features and has the impressive audio performance to match. The company’s flagship home cinema system includes a Blu-ray receiver and is capable of 3D Blu-ray playback and 4K upscaling. There’s plenty of connectivity with Bluetooth, DLNA, Wi-Fi and Ethernet support. The powerful sound (1330 watts) is achieved through Samsung’s Galium (GaN) digital amplifier and built-in valve amp. The introduction of DTS Neo-Fusion audio processing helps widen the soundstage for a richer sound. It’s expensive, but the all-in-one system is a great all-round performer. Personally, I enjoy sitting at home with surround sound, my feet up, drinking what I want, and snacking on popcorn. Even better is watching a movie that I have chosen from my collection, which includes films from the glorious days of film making. Now, where is my Blu-ray of Rio Bravo with John Wayne?